Austroads has released the final report of the long-term pavement performance (LTPP) study which was established in 1994-95. This long-running project monitored the structural and functional performance of a range of in-service sealed granular, asphalt and concrete pavements. Long-term pavement performance monitoring helps understanding pavement behaviour under different traffic loading and environmental conditions. Prediction of pavement performance under various conditions is a critical element in managing high-cost pavement assets in terms of the potential life-cycle cost savings on maintenance and rehabilitation activities. The Austroads LTPP study is among other long-term pavement performance studies in the world and was established when Austroads decided to participate in the US-LTPP of the Strategic Highway Research Program (SHRP). investigate the quantitative influence of various maintenance surface treatments on pavement performance. This webinar will give you an overview of the long-term pavement performance study. methodology, benefits and outcomes of the study. Join in a live Q&A with our expert panel to have your questions answered. Lith Choummanivong is a Senior Professional in Next Generation Asset Management at ARRB. He has over 20 years experience in research in pavement-related areas. During this time, he has been involved in several long-term studies including the local roads deterioration models and long-term pavement performance. Dr Tim Martin is a Chief Technology Leader in Next Generation Asset Management at ARRB with over 40 years of professional experience. 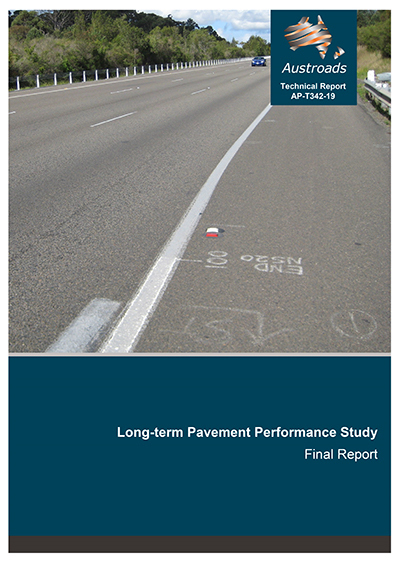 Tim designed this observational study with long-term pavement performance (LTPP) sites and long-term pavement maintenance (LTPPM) sites, including related experimental studies with accelerated load testing. This data was used in the development of road deterioration and works effects models for arterial roads. These models are used in pavement management systems (PMS) and the estimation of marginal road wear costs.